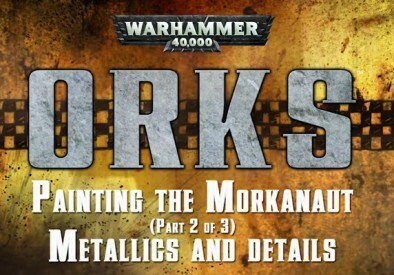 » Games Workshop Painting Tutorial: Morkanaut Part Two! Games Workshop Painting Tutorial: Morkanaut Part Two! In the second part of this painting tutorial from Games Workshop Duncan goes on to show how to work on the metallic sections of the Morkanaut and also how to begin making those details pop.